Moovit is the world's largest transit data and analytics company and the #1 transit app worldwide. SAN FRANCISCO – Public transit is an integral part of urban metropolitan areas and relied upon by millions of citizens. Blind or low vision transit riders are frequently uncertain that they’ve caught the right train or that the bus they’re waiting for will take them where they need to be. 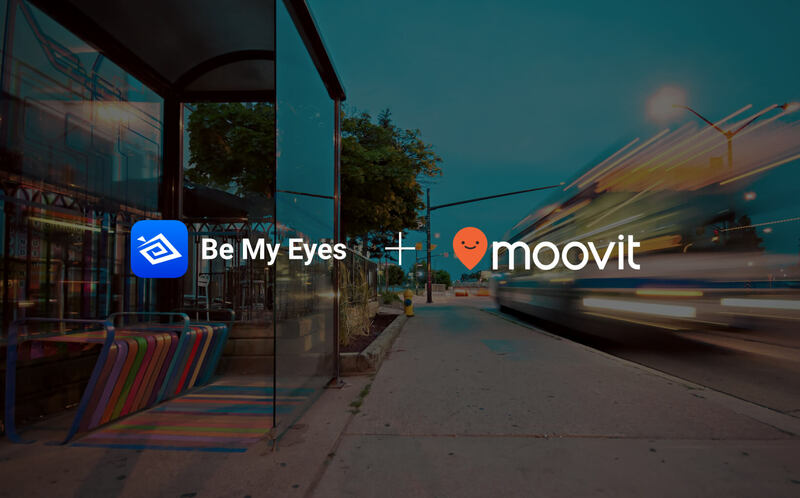 Be My Eyes and Moovit want to challenge obstacles relating to vision and access to make traveling individually with public transit more accessible for blind and visually impaired people. Moovit is the world's largest transit data and analytics company and the #1 transit app worldwide. Be My Eyes is the world’s biggest online blind community and experts in visually assisting their blind users. By teaming up, the entities will share knowledge in the areas of public transportation and provide greater accessibility to riders around the world. Moovit already has kickstarted the journey by making its app more accessible in partnership with blind developer Adi Kushnir. VoiceOver and TalkBack are now available on every screen and with the addition of the Live Directions feature, blind and low vision users can get step-by-step GPS-style guidance for their journey and even receive alerts when their bus is arriving or when their desired stop is approaching. As part of the partnership, Moovit users will be able to easily navigate to Be My Eyes through a simple tap on Moovit’s More Menu. This means that if they require any additional help during their journey, like finding their seat for example, it’s even easier to access and will make the journey even smoother. Be My Eyes is an app that connects blind and low vision users with sighted volunteers. Volunteers assist users through a live video connection and work together to tackle a range of tasks and challenges. With more than 55,000 blind and low vision users and over 830,000 volunteers, the app harnesses the power of generosity, technology, and human connection to help blind and low vision individuals lead more independent lives. 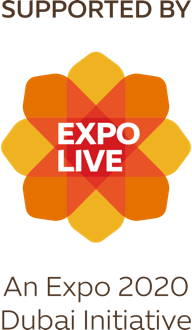 The app is available in over 150 countries worldwide, and blind and low vision users can access live visual assistance in more than 120 languages. Be My Eyes is free for both iOS and Android. Download Be My Eyes in App Store or in Google Play. Moovit (www.moovitapp.com) is the world's largest transit data and analytics company and the #1 transit app. Moovit simplifies your urban mobility all around the world, making getting around town via transit easier and more convenient. By combining information from public transit operators and authorities with live information from the user community, Moovit offers travelers a real-time picture, including the best route for the journey. Named Best Local App by Google in 2016 and one of Apple’s Best Apps of 2017, Moovit launched in 2012 and surpassed 100 million users in five years. Moovit amasses up to 500 million anonymous data points a day to add to the world’s largest repository of transit data. The data gathering is aided by Moovit’s network of more than 250,000 local editors called “Mooviters.” These passionate users help map and maintain local transit information in cities that would otherwise be unserved. Mooviters account for 65 percent of the hundreds of cities Moovit opens every year and make Moovit the Wikipedia of Transit. Moovit is available for free on iOS, Android and the Web in more than 1,800 cities, across 79 countries, and can be used in 44 languages. More than 100 cities and global events, including Rio de Janeiro for the 2016 Olympics, have made Moovit their official transit app.